Learn how to systematically understand, analyze and renovate your current business model or craft a new one. Can be used by executives, consultants, entrepreneurs and leaders of all organizations. The Business Model Canvas is a Strategic Management and Lean Startup template for developing new or redesigning existing business models to create competitive advantage. Based on the framework developed by Strategyzer, the canvas is presented as a visual chart with 9 building blocks. These elements cover the areas of the organization's core offering, infrastructure, customers, and finances. They include: Customer Segments, Value Propositions, Channels, Customer Relationships, Revenue Streams, Key Resources, Key Activities, Key Partnerships and Cost Structure. This innovative and increasingly popular tool can be used in a collaborative setting such as a strategy planning workshop. It helps organizations to align their activities by illustrating and discussing potential trade-offs in a structured manner. It is a hands-on tool that fosters understanding, discussion, creativity, and analysis. Various examples of business models are provided. They include Starbucks, low cost airlines, Apple, Skype, Amazon, Nespresso and Grab. This presentation provides a basic overview of the Business Model Canvas. It is intended to provide users with basic knowledge of the approach to business modeling. It is most suitable for a half-day or one-day workshop to familiarize participants with the Business Model Canvas, and its other concepts and tools, e.g. Design Thinking, Value Proposition Canvas. 1. Understand the key concepts of business model thinking. 2. Acquire knowledge of the 9 building blocks of the Business Model Canvas for value creation. 3. Learn how to apply the Business Model Canvas to map out your current business model for understanding and analysis. 4. 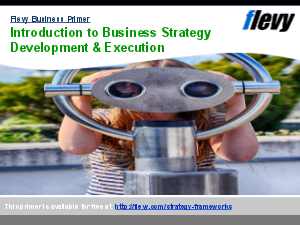 Gain basic knowledge of the Business Model design process and related frameworks. Business Model Canvas? Supply Chain Analysis? Bain Frameworks? Or something else.